Pezzettino lives in a world in which everyone is big and does daring and wonderful things. But he is small, just a little piece, which is the meaning of pezzettino in Italian. I must be a piece of somebody. I must belong to someone else, he thinks. 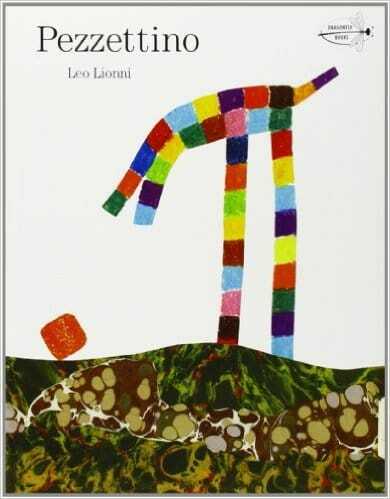 How Pezzettino learns that he belongs to no one but himself is the joyous and satisfying conclusion to this beautiful mosaic style picture book.